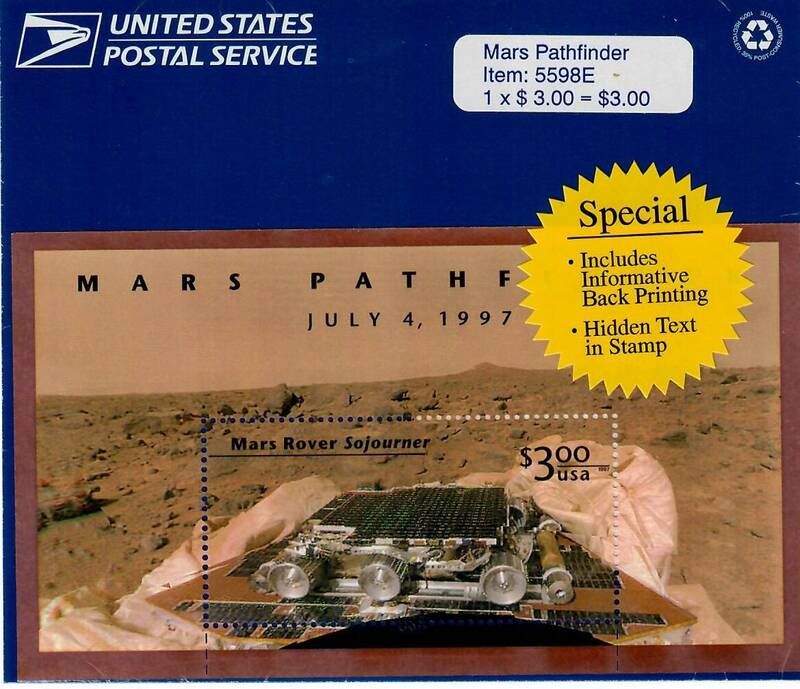 The Mars Pathfinder Priority Mail stamp was the last stamp issued in 1997. It commemorates the successful landing of the Mars Pathfinder on July 4, 1997. The stamp pictures the first image sent from the Pathfinder, the remote-controlled vehicle, Sojourner, which collected data about the soil and rocks, with the Mars landscape in the background. The stamp is the largest the U.S. Postal Service has ever made for regular postage. (Newspaper and periodical stamps issued in 1865 were larger.) Special “USA” perforations were added to the bottom row of perfs. The vertical perfs extend beyond the stamp to the bottom of the selvage for easier removal of the stamp. Hidden words were incorporated into the design and are visible with a stamp decoder. 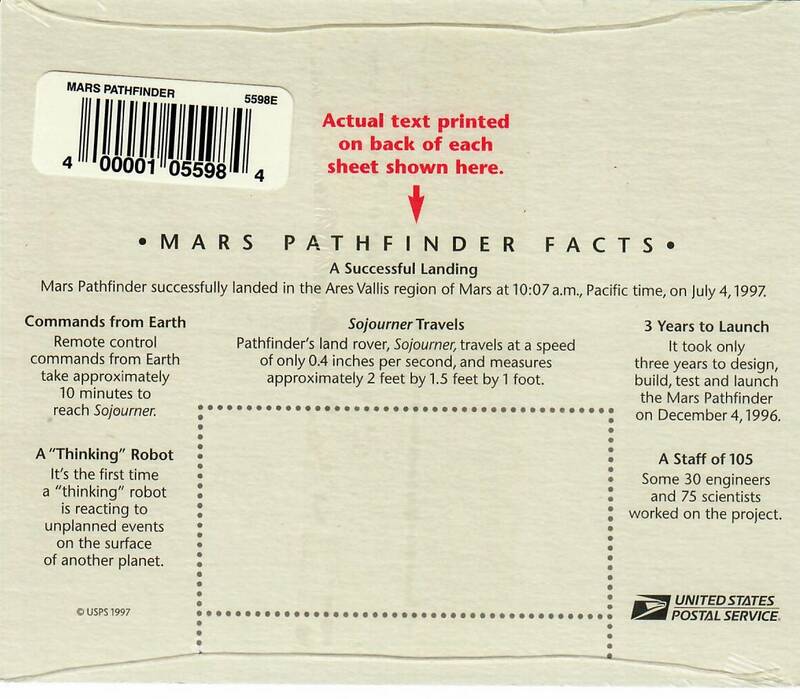 They read “USPS” and “MARS PATHFINDER • JULY 4, 1997” in alternating lines.